There’s approximately another week to go for Eid Al-Fitr, and I thought I’d share three iftar/suhoor events I went to in the last few weeks. A quick lesson for those who may not know: Ramadan is the month during which Muslims all over the world fast from dawn till dusk. It is meant to be the ninth month of the Islamic calendar, and its dates change every year since it is based on the lunar cycle. I still remember in 2009, Eid was in mid-September (I only remember because it was the day after I moved to the UK for my Masters). Suhoor (or sehri, depending on which part of the world you’re from), is the meal eaten before the sun rises. Then those who are fasting don’t eat or drink until sunset, when the fast can be broken – this meal is called iftar. UAE’s hotels and restaurants do have offers for this, and every year have iftar and suhoor deals. The iftar events start at sunset naturally; I’ve seen suhoor events start anywhere between 8 and 10pm, where people just keep eating through the night. Perhaps there’s a sense of excessiveness to be seen at these events; it’s wholly your call on whether you want to attend these events or not. This year marks the first time I’ve attended iftars/suhoors at hotels. And for that I can only thank my job. Invites from companies I work with were accepted. And here’s my list of events I enjoyed, and if you’re interested in experiencing them, there’s a week left! With a Dhs45 cover charge for suhoor, you can eat from 8pm to 2:30am. 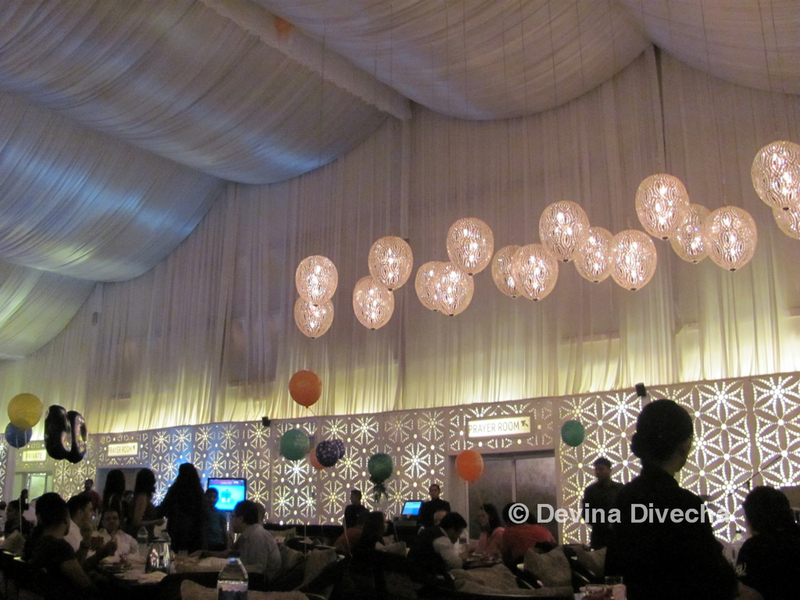 I believe the Iftar meal goes on till 8.30pm and costs Dhs175 per person. There’s a lot of the traditional food items here, including sambouseks, sujuk, and a very good mixed grill. The food is served to your table, as opposed to a buffet. The ambience is very relaxed in a tent atmosphere, and comfortable couches. Thanks to Hansgrohe for the invite. You’ll be greeted with Turkish coffee and dates at the entrace to this restaurant. There’s an indoor seating area and an “outdoor” area that’s basically an air-conditioned tent and loung-ey seating that you can sink into. 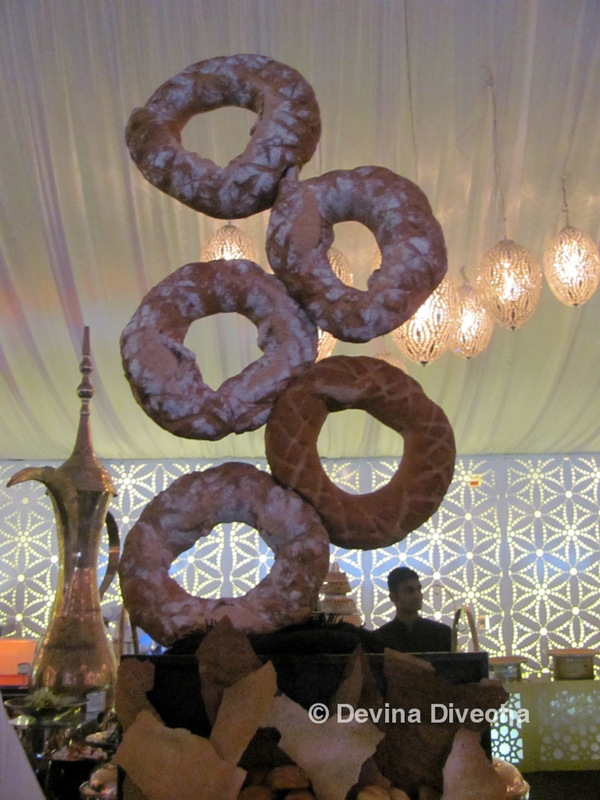 A buffet iftar, there’s a lot to choose from – breads, mandi, hummus, moutabal, tagines, biryanis…I could go on. The dessert section is intense – be prepared to stare at a lot of it, wondering if you could possibly try everything without popping the buttons of your trousers. 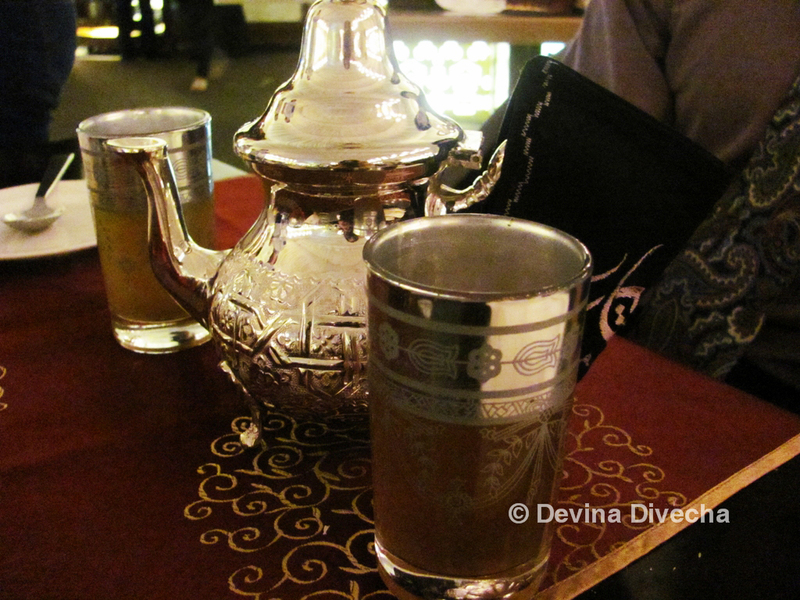 Starting from Iftar time till 9pm, it costs Dhs 195 per person. Thanks to 3M Gulf for the invite. 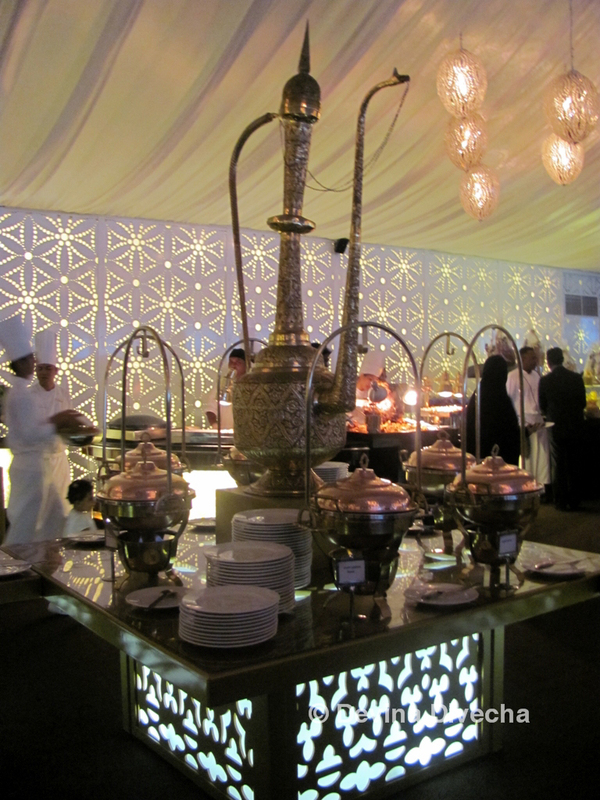 At Dhs 175 per person, the Asateer tent has a fairly decadent spread for your taste buds. 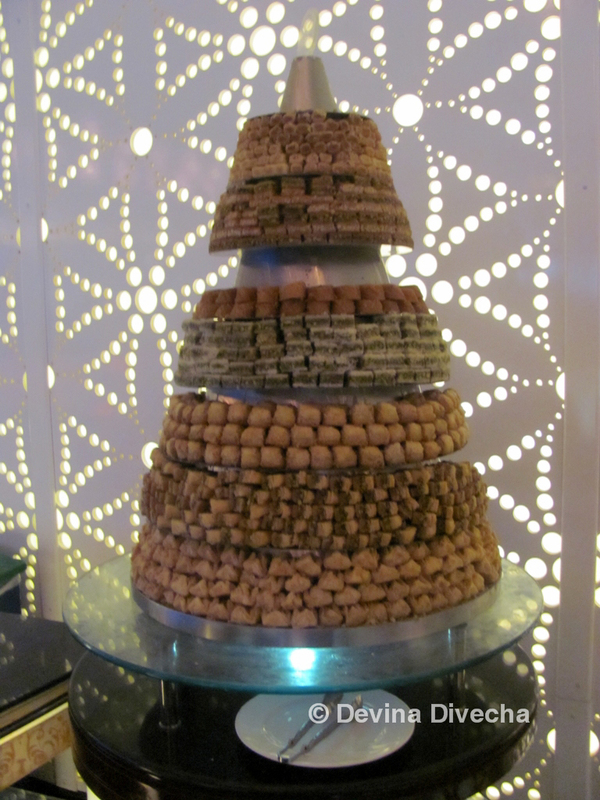 Towers of dates and baklava can be found, amidst a tahina fountain and a chocolate fountain. The different kinds of dates are labelled, and you can find date juice, karkadeh (a drink made from hibiscus) and jallab (made from grape molasses, dates and rose water) to quench your thirst. British favourites – roast beef and Yorkshire pudding are also present. Added to this are the usual starters and filling main courses. 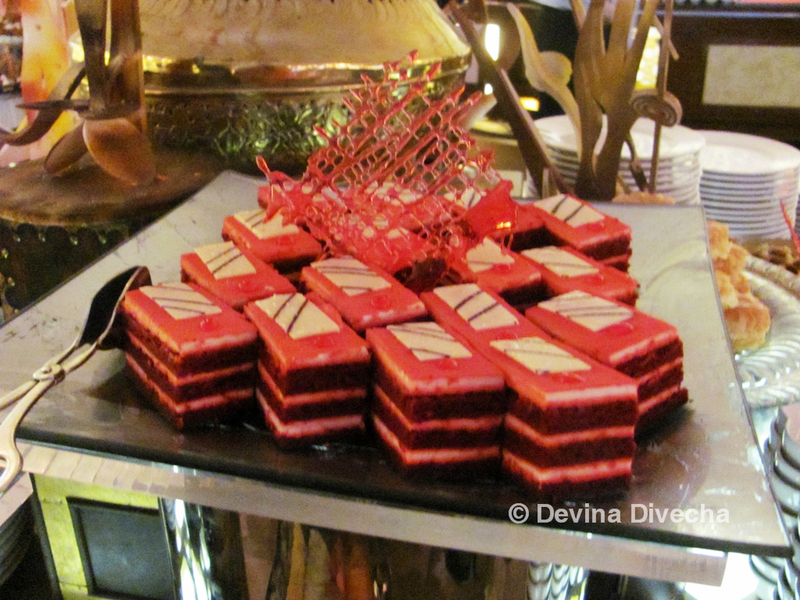 A Western and Arabic dessert menu are also there – ingredients for an awesome sugar high. Thanks to Imdaad for the invite. So if you want to experience iftar or suhoor out and about in Dubai, these are some of the high-end ones that I’ve gone to this time, and enjoyed. As for now, I’m looking forward to my last few iftars of the year – at my friends’ homes. Often my most favourite way of doing it 🙂 I’ve already visited a food blogger’s home for iftar this month, and have two more in the next three days. Check out my awesome time with friends from last year!